Varna Airport Transfer operates mainly in the northern part of the Black Sea coast and implements prebooked transfers from/to Plovdiv airport and other Black sea holiday and golf resorts in the area - Golden sands, Albena, Balchik, St Constantine and Elena, Sunny Day. Plovdiv airport transfer rates are all-inclusive of air conditioned car, van, bus, professional driver, passenger insurance, free child seats, and fuel. Varna Airport Transfer also provides transfers from Plovdiv airport to Plovdiv, Sofia, Ruse, Bucharest, Thessaloniki, Istanbul, Constanta, Sunny beach, Nesebar, Sozopol, Lozenec, Pomorie, Burgas airport, etc. 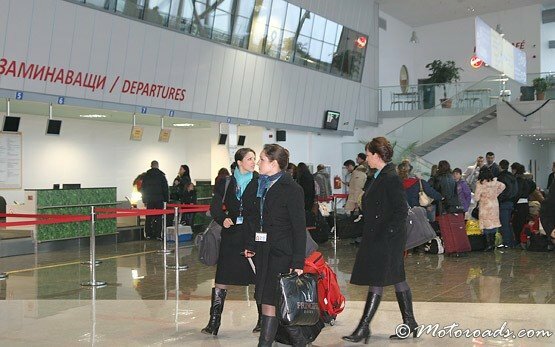 We strongly advise you to book your Plovdiv airport transfer well in advance to get the best available rates!